What's that you say? A musical about Imelda Marcos? A DISCO musical about Imelda Marcos? 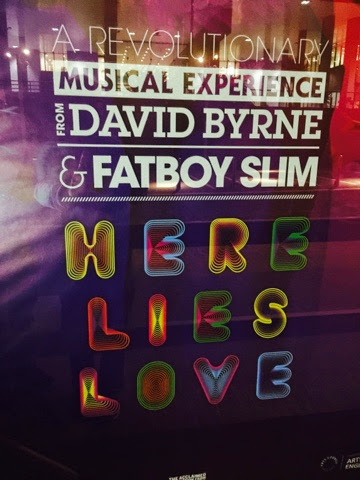 A disco musical about Imelda Marcos written by David Byrne and Fat Boy Slim at The National Theatre's new Dorfman Theatre? Set in a Studio 54 style night club? With flashing lights, a giant disco-ball, non-stop dancing, podia that twirl and slide and glide across the auditorium and banging tunes that stick in your head like earworms? We were so there. Who cares if there is no reference to her shoes? Who cares if politics takes a bit of a back seat? The audience were clapping, singing, and dancing along. Well, we simply loved it. Sadly it's sold out for the rest of it's three month run so let's hope for a West End transfer.